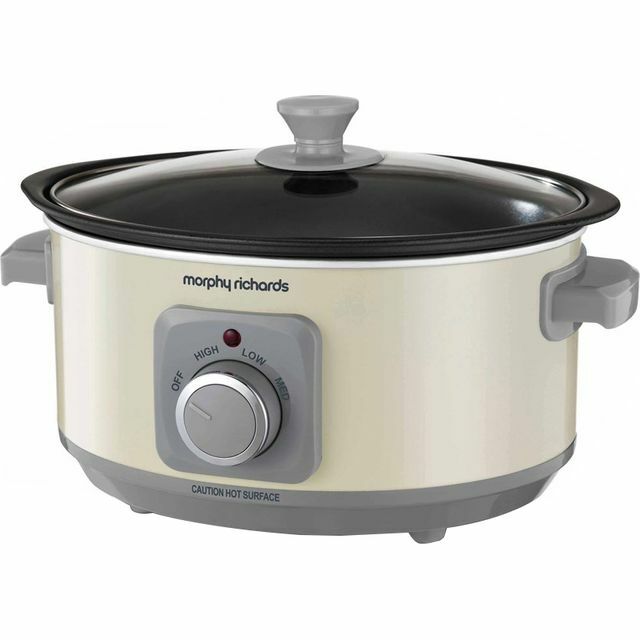 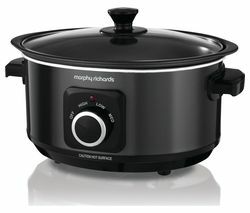 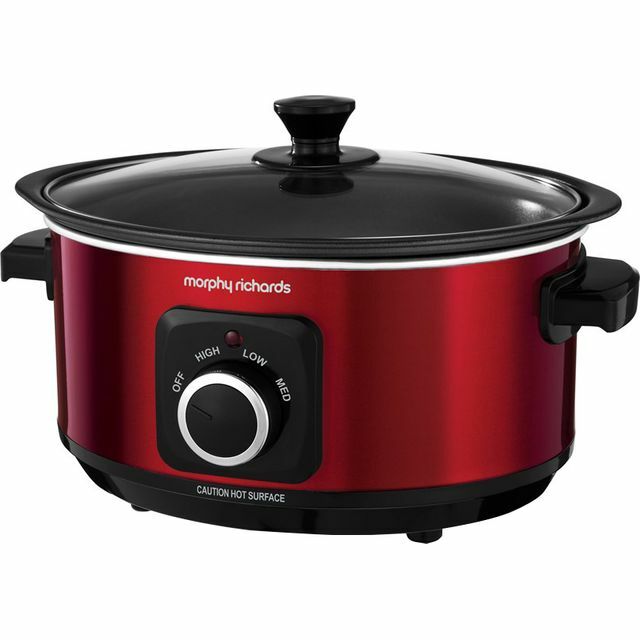 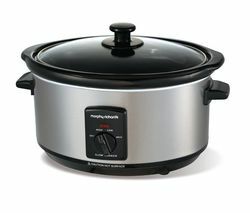 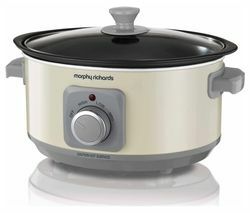 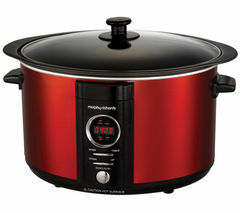 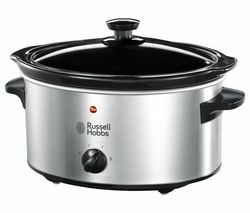 Top features: - Sear and Stew in a hob proof cooking pot - Three heat settings so you can cook the perfect meal - Easy to serve straight from the pot - Dishwasher safe parts so it's simple to clean Sear and StewThe Morphy Richards Evoke Sear & Stew 461016 Slow Cooker has a hob proof cooking pot, which means you can sear and slow cook from start to finish with just one pot. 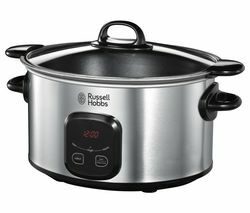 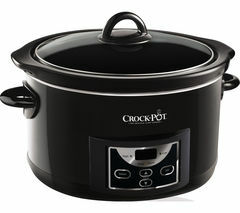 Not only does this make the cooking process more efficient, but it also cuts down on the amount of dishes you have to wash too.Three heat settingsOnce you've loaded your ingredients into the Sear & Stew, just select the high, medium or low cooking setting and soon enough you'll have a delicious casserole, chili, or stew ready to be devoured. 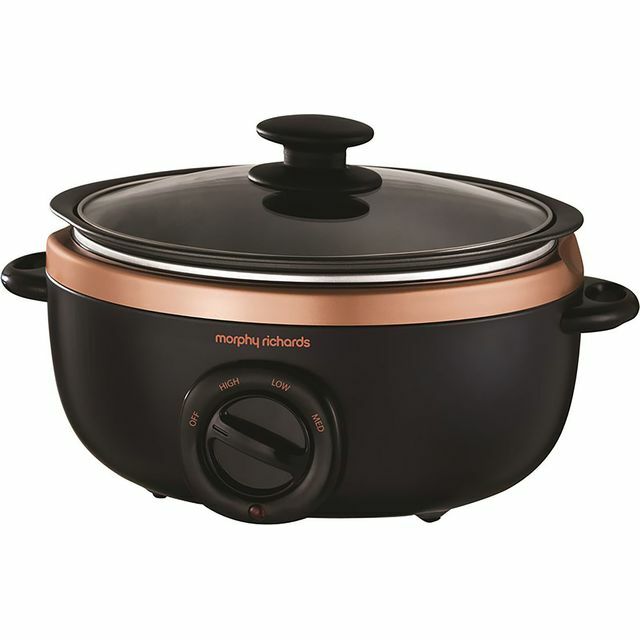 You can easily check up on the progress without losing heat thanks to the clear glass lid.Easy to serveThe Sear & Stew cooking pot is light and durable, so don't worry about having to transfer your food to another dish. 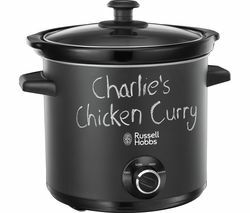 You can safely carry it to the dinner table and serve straight from the pot.Dishwasher safe partsWhen you have finished eating, washing up is a breeze too. 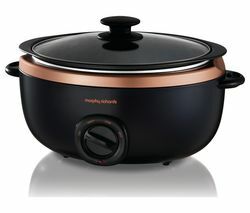 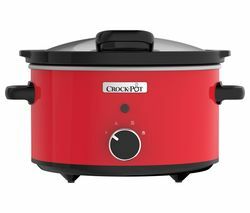 The Sear & Stew cooking pot has a non-stick coating and is safe to be put straight into the dishwasher, as can the lid.